An SUV crashed into a barbershop in the Bronx Tuesday. 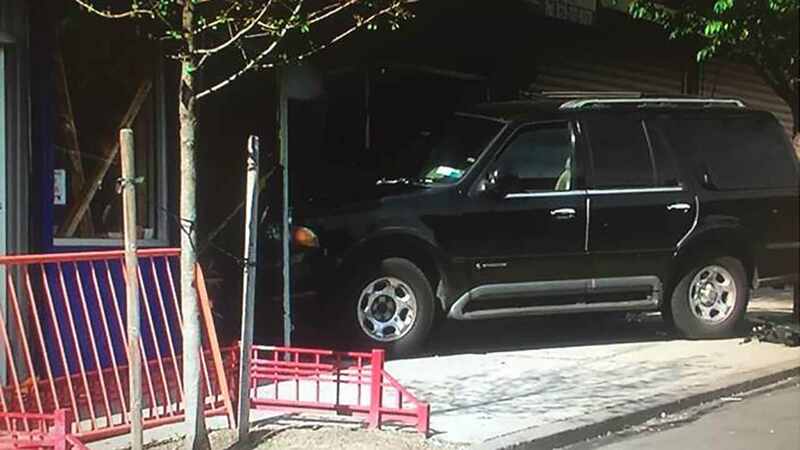 CLAREMONT, Bronx (WABC) -- An SUV crashed into a building in the Claremont section of the Bronx. At 8:11 a.m. Tuesday, an SUV hit a barbershop on East 174th Street, according to the New York City Fire Department. One person was taken to St. Barnabas Hospital with minor injuries. It is unclear if the victim was in the SUV or in the barbershop. Several stores in the one-story building were evacuated, including the barbershop, a deli and a laundromat. East 174th Street is closed to vehicles between Clay and Topping avenues. The FDNY said the vehicle hit a support column between the barber shop and the laundromat, and the Department of Buildings is sending a structural engineer to assess the building's stability.